gahhhhh doble dose of perfection in one pic ♥ Darling Dong Sook & Gangster Min Young , fighting!!! 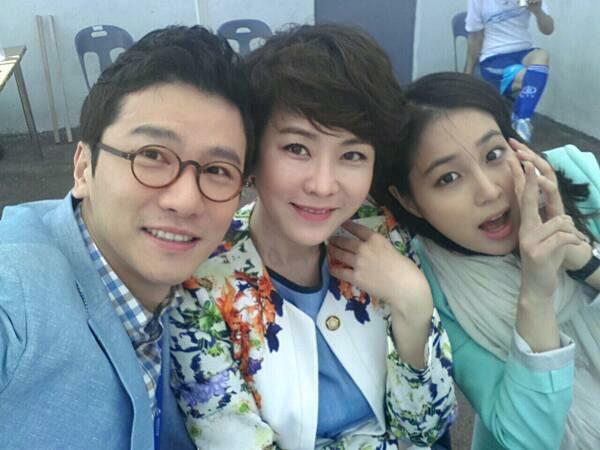 Actress Lee Min Jung has revealed photos of her from the set of her upcoming drama “All About My Romance”. Actress Lee Min Jung becomes a member of the national assembly for new drama. The actress uploaded pictures of herself, in character for SBS drama “All Bout My Love Life” on March 18th, via her Me2day account.